Since 2009, Friends of Acadia has partnered with Acadia National Park and other area organizations to host the Acadia Night Sky Festival, a community celebration to promote the protection and enjoyment of Downeast Acadia’s stellar night sky as a valuable natural resource through education, science, and the arts. 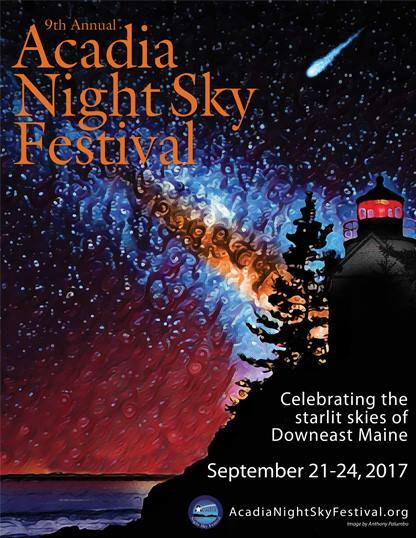 The 2017 event will feature talks, films, outings, workshops, and star parties in Acadia National Park: a fantastic array of events for night-sky enthusiasts of all ages! More information will be posted here when event planning is complete. For more information, visit the Acadia Night Sky Festival website.